To educate the public about the negative effects Trap-Neuter-Release (Trap-Neuter-Return) has on native wildlife, domestic cats and humans through well-documented facts, scientific literature and respected resources. To provide local governments and constituents recommendations regarding the free-roaming and feral cat issue that do not result in harmful consequences for wildlife or inhumane outcomes for cats. To present helpful and interesting information related to wild animals and domestic cats. 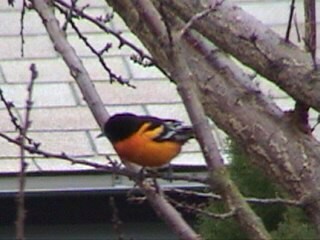 Backyard migratory bird. Baltimore Oriole perching in an apricot tree.